At the statistics page, you can compare your village (and the success of your entire account) to other players’ villages. 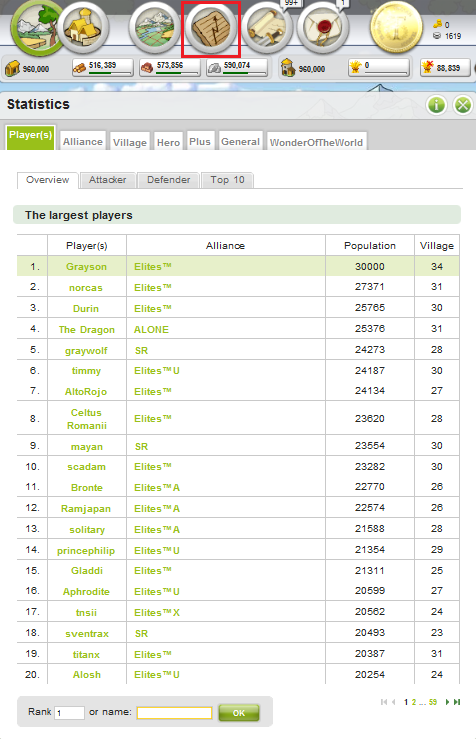 There are special tabs at the very top of the statistics overview; with these, you can view all of the different ranking categories; you can see the largest players by population, the alliances with the most points, the largest villages, the best and most powerful heroes, the so called PLUS overview (showing you the general development of the in-game economy) and finally, the General tab which will show you the general info about the server. If you remain on the PLAYER tab, then you will see that there is another set of sub-categories you can view. These are the attacker, defender and Top 10 statistics. These will show you the best attackers and the best defenders, as well as your rank among them; the Top 10 list will show you the 10 very best in these two categories (and a few other ones too). The statistics page can be useful if you want to show off your stuff to friends and family, or if you just like seeing who is the best. Wonder of the World tab will show you Natarian villages, where wonder can be constructed as well as the levels of each Wonder once they are in game. Both reports and messages are very important for a growing account. Communication with others and information about what things are going on in regards to your account are vital for managing a huge and powerful empire. You will receive a report whenever there is something noteworthy going on in your empire. Most commonly, you will receive reports when: you have conducted a trade (two sets of reports are presented: one for your merchants supplying a village, and one for foreign merchants arriving to your village and supplying it; when transferring resources within your own empire, only one report is received, informing you that the transfer has been successfully completed), you have been attacked, you have completed an attack, you have been reinforced or have reinforced someone else, you have completed an adventure and so on. There is also a way for you to filter your reports; you will notice there are a number of tabs which will allow you to categorize the reports you wish to see. 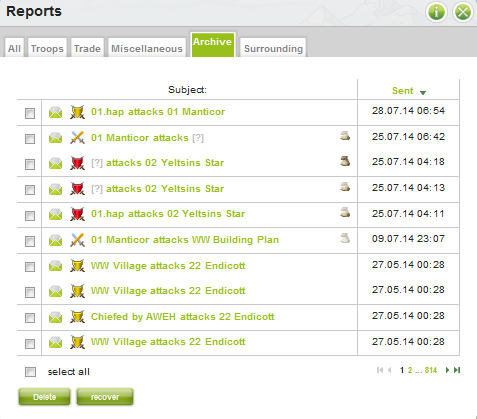 You can choose to view all of your reports (which is the default landing place whenever you click on the reports icon), you can view reports pertaining only to troops, reports pertaining only to trade and reports pertaining to adventures (labelled as miscellaneous). You also posses the ability to archive the reports you want to keep if you purchase GOLD club, so you can freely delete the ones you don’t need. T4 has a new report feature; this is the final tab in the selection. The surrounding tab will show you events that have taken place in the immediate surroundings of your villages. 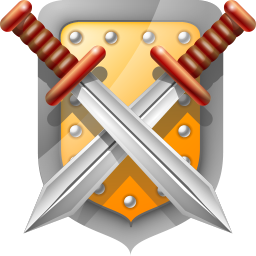 These may include attacks on oases or nearby battles having taken place. You can share reports with other players, like friends and alliance members. Still, you should always remember, publicly displaying reports of battles which include another player may not be done without the other player’s permission. You will need messages (IGMs – In Game Messages) to communicate with other players. You can receive messages, and send messages of course. In your messages overview, you can view your inbox where all your received messages are stored and your sent folder, where all the messages you’ve sent are stored. There is also a tab which allows you to write new blanko messages. Just like with the reports, you can archive messages you wish to keep if you are a GOLD club user. There’s also a tab for Ignored players. Here, you can find a list of players you put to ignore list. Those players won’t be able to spam you. The staff may also use IGMs to communicate with you; the little check box next to their messages will be of another colour: red for the Multihunter and green for Supporters. In the above shown picture 6 buttons are marked in red. The first 2 buttons are important to access your player profile and the preferences (detailed description see below). Next in the upper set of links redirects you to the forum in a new window and the one next to it will lead you to IRC. Both links can be used if you want to chat with Travian team and Travian community. The question mark allows you to pick from number of helps, tutorials and FAQs. There’s also a link to contact in game support or Multihunters, if needed. The last button gives you the possibility to logout the game. Player’s profile was broken down into few separate fields. Starting with the first small button from right, you can access your basic profile, which is displayed to other players, who want to check you. This page includes various basic information about you, your age, gender and location which you can choose to keep hidden or to publically display. A list of all your villages and the oases captured from them will also be shown. To the right, there is a little avatar of your Hero; he will be displayed together with all of the powerful items you have equipped him with. You can also access the area where you can make edits to your account by clicking on the green edit profile link on the overview page. This leads us to second tab of the profile page, where you can edit/add all the info you want to show to others. 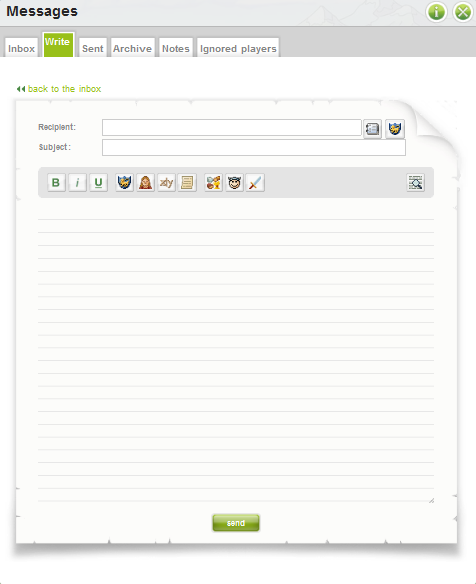 The Profile page can also be used to edit your village names; you can edit the names of your villages at any time. If you’ve managed to win a medal, there is a button on the profile page which will display them with their corresponding codes; these codes must be typed into one of the two text boxes which contain your profile info in order to be displayed. Any rewarded medal, which is connected to your mail can be found here. After them follows the Options with three tabs. In first tab is called Game. If you are a Plus user, you can use this page to add direct links to your account for easier game navigation. 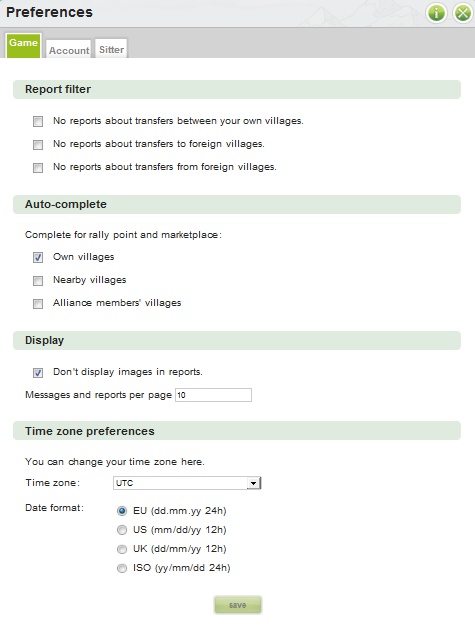 You can also set a report filter; namely, you can choose which reports you don’t want to receive by checking the corresponding boxes. Besides this, you can also set the number of messages you want shown per page. Finally, the last option gives you the ability to set and change time zones. The second tab (and perhaps the most important) tab is “Account”. The account tab is only accessible to the account owner; this means, sitters can’t make any changes in the account tab. First and foremost, the account tab allows you to change your account password and also, to change the email address the account is registered to. The latter is very important, since things like Gold transfers will not be possible if you no longer have access to the email address corresponding to your account. Whenever you make an email change, you will receive two sets of emails: one to the old address and one to the new one, informing you that a change has been made. The next area will allow you to set your account for deletion; a period of 72 hours (or three days) is necessary to pass before your account will be deleted. You can cancel the deletion during the complete 72 hours. The final area at the absolute bottom allows you to choose whether you want to receive news from the Travian staff. It is good to be up to date, so checking this box might be a good idea! Next, the account tab is also important, because this is where you can set or terminate sitter relations. You can have two sitters, and you can sit a maximum of two accounts. You will see a number of check boxes in the sitter area; by checking or unchecking them, you can allot powers to your sitters. Take some time to see what you can allow your sitter to do; basically, if you check all the boxes, a sitter will be able to do everything you can, save for making changes in the Account tab. To add a sitter, write the appropriate account name in the empty text box and hit save on the bottom of the screen. The name of your sitter’s account will then appear; by clicking on the small red X next to the name, you can cancel the sitter relation. Remember; you may set sitters to your account, but you may not set yourself as someone’s sitter: only the owner of the other account can do that.